A software update is promised, but when? The Apple Watch Series 3 ships this week and brings LTE connectivity to Apple's wearable, but there's a problem… that LTE is having some glitches. The problem was highlighted by The Verge's Lauren Goode, who noticed that the Watch kept latching onto unknown Wi-Fi networks when out and about and cutting the cellular connection as a result. I chased up on this and Apple told me that the problem only lies in Wi-Fi spots that use captive portals - places like Starbucks that require a sign-in. It added that it's working on a fix via software update, but when pressed couldn't guarantee this will happen in time for launch. Hmm. We're now putting the Apple Watch Series 3 through its paces and will be checking to see if we notice the problem ourselves. 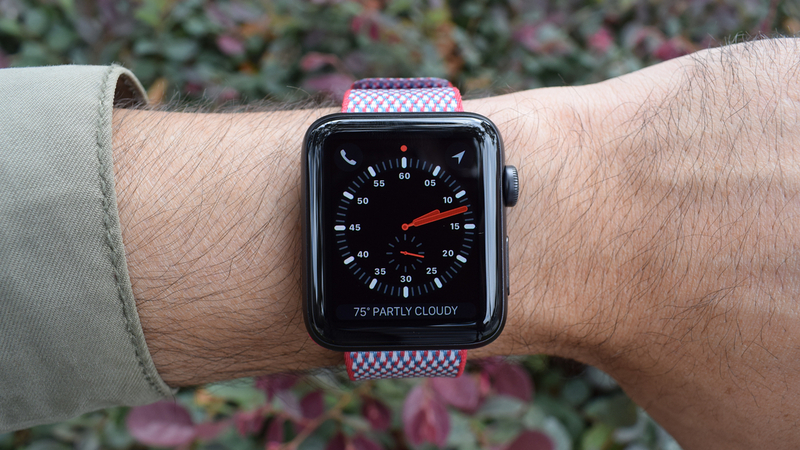 It doesn't appear to be a huge cause for concern and not every person who's been testing the Watch so far has experienced the problem, but it's big enough of an issue that Apple knows it needs to act on it fast. Hopefully it will be an easy software fix, and one that Apple can roll out by Friday of this week. Otherwise a lot of people could be having a spotty first experience with the new Apple Watch.